The Stupid just keeps on giving. Since you’re trumpeting this sentiment and with a bit of luck, or a heads-up to this website, Venning J will become aware of this attitude and intransigence when determining the level of costs. Richard Christie, what a timely entry. I was commenting this morning that I was looking forward to your next appearance. I have a challenge for you. Costs are NIWA expenses, what is said on this blog has nothing to do with that. This has been covered extensively here already. It is a “scandalising the court” charge that attracts a penalty if proven. The leeway in precedent for that is very much in favour of the accused so don’t get too fizzed up about this. Besides, we don’t know what the appeal situation is yet. Note that the paper is in the form of a hypothesis for which you will have to provide a credible null. Do I add your name to the Defaulters List Richard Christie? Or have you got something that upholds the IPCC RF science? Please add me to your defaulter list, I’m happy to be in such good company. (along with NASA, the Royal Society and every major scientific institution on the planet). BTW Richard, NASA uses the bogus IPCC CO2 forcing simplification courtesy of Hansen so they probably haven’t even heard of the Hottel/Leckner curves. The Royal Society and “every major scientific institution on the planet” are equally in the dark to the science of radiant heat transfer and the engineering solutions that have developed from it and been widely implemented. But in their case I don’t think ignorance is an excuse. v http://www.esrl.noaa.gov/gmd/aggi/ IPCC equation for “forcing”. This equation is also quoted in the fourth assessment report along with two other curves of similar shape and magnitude. Note the word “simplified” in NOAA/IPCC Table 1 ‘Expressions for Calculating Radiative Forcing’. Note also the lack of recourse to any heat transfer texts or papers in the NOAA reference. The IPCC equation assumes a “logarithmic” or log relation between forcing and CO2. The path length curve more closely resembles a „log log‟ relation between forcing and CO2. That is the IPCC model is an oversimplification that results in overestimating the impact of CO2 at higher concentrations. The IPCC reports discuss the impact on forcing of doubling CO2. This is because they believe the relation is logarithmic. This is the primary issue of the CAGW/CC debate Richard, all other issues are subordinate to it including temperature records. If it’s not resolved satisfactorily in favour of the IPCC (a null to Eggert’s hypothesis) then the entire “climate change” edifice crumbles. But you default in the face of the challenge – doesn’t bode well for “the cause” does it? I’m not a climate scientist. Are you? I do what most intelligent people do in regard to matters outside my expertise, I go to the experts for their consensus conclusions. On climate change that means the IPCC, no matter how hard you wish it were otherwise. If, or when, the IPCC and the world’s leading scientific institutions change their stance I’ll be happy to go with them. You, on the other hand, trawl the internet for argument to confirm your a priori bias. Now, you’ve lost this recent court case, lost it resoundingly. In the words of M Cullen, eat that. Or, make my day and continue with your ranting against Venning and the judgement, let every body know how you haven’t learnt a thing from the process and are dead set to have another go and again waste everybody’s time, money and patience. Carry on doing this before Venning determines costs. “On climate change”? That’s the problem Richard, the IPCC are NOT the experts in radiative heat transfer so how can they be experts in climate change? You’ve made the incorrect attribution and subscribed to the invalid CO2 forcing methodology. Didn’t you see the following in my last comment? Climate scientists, by huddling in their blinkered cocoon, have failed to defer to the experts in radiative heat transfer and consequently the world’s govt’s and their populace have had the wool pulled over their eyes. But there’s a whole other world operating outside climate science and the real experts are gradually coming out of the woodwork. An engineering design for a furnace for example using IPCC RF methodology would be a substandard solution. The appropriate expertise will win out in the end but it wont be generalist climate science, it will be specialist heat technologists. BTW, you STILL don’t understand costs even after my explanation? Was I not clear enough? Costs, correct me if I’m wrong in this respect but I expect that NIWA will submit their expenses to the court. The court will then approve or otherwise and make the final order. Well , you be sure to get back to us when this all comes to pass. Of course, for years people have been making the observation about the alternative reality you guys inhabit. Tell us something new. “Costs, correct me if I’m wrong in this respect but I expect that NIWA will submit their expenses to the court. Exactly (depending on an appeal), this negates your previous comments about what is being said about the judgment outside the courtroom because it has nothing to do with NIWA’s costs (expenses). Costs are recieved by NIWA, a scandalizing the court penalty (extremely remote) is received by Courts of New Zealand – NIWA don’t get a whiff of that. “Well , you be sure to get back to us when this all comes to pass” – Happening now Richard – that’s the challenge i.e. the cat is out of the bag. “But there’s a whole other world operating outside climate science” [you quoting me] “Of course, for years people have been making the observation about the alternative reality you guys inhabit” [your response] – You don’t consider heat engineering and the science that underpins it to be actual reality then Richard? Found that tropospheric hot spot yet Richard? Well then, as I said, fine by me if you just carry on dissing the competence of the authority that will ultimately determine the level of costs the plaintiff will pay. Good grief you STILL don’t get it Richard. I can see by you haven’t taken up the challenge, your critiquing ability is abysmal. Costs are SOLEY NIWA expenses – nothing else, no penalties, no bonus for judgment criticism, and even then depending on appeal. I’m not a physicist but I suspect that assuming that CO2 is a static black body is not valid. In matters outside of my expertise I am happy to give more weight to the experts in the field over a lay-person with a spreadsheet. The High Court usually does too. I see that Arctic sea ice is now out at 6σ from the mean. That’s Black Swan territory, except that it was predicted. Just another case for the IPCC CO2 forcing parameter being invalid. They’re lining up to challenge the IPCC orthodoxy, these guys. On another thread I discussed what an ad hominem logical fallacy was. Richard Christie’s post above is a perfect example of such an argument. It is flawed because it never addresses someone’s argument, but attacks the person who made it. It is always assumed that a person resorting to an ad hominem has automatically lost the argument, because they are simply unable to counter the other person’s position. Now I have no idea who AGC is, nor would it matter if all of the ad homs above were true (after all, we all have our own political views, and these should be irrelevant in this debate, and none of the links Richard Christie mention are in any way unusual). The issue at hand is the tropospheric hotspot, lack of. Richard Christie just lost that argument. So let me be the first to ask you then. How do you, Richard Christie, explain the lack of the predicted tropospheric hotspot? Dunno. I haven’t the foggiest. I’m not a climate scientist. I’m not even a scientist. I go with the IPCC and the world’s leading scientific institutions, they do or at least interpret the science. But I’ve been through this already. Since we’re on the question thing, here are some interesting ones. Who’s paying the bill for the total failure in court? What are the chances that the big money backers, if any, will cut the expendable front line adrift and won’t cough up? Can you trust Barry Brill? Who is on the Trust Deed? Your link shows that the suns irradiance is at it’s lowest point in 20 years. Could you please clarify the point you are trying to make? But timely of you to turn up Nick, I have a challenge for you that I’ve made to several others recently but no-one has risen to it (although Simon’s interest seems piqued, he may yet come up with something but his reasoning so far actually supports the hypothesis). Note that the paper is in the form of a hypothesis for which you will have to provide a credible null. Do I add your name to the Defaulters List Nick? Or have you got something that upholds the IPCC RF science? All other climate change issues are subordinate to this one Nick (including Arctic issues). Unless some-one comes up with a credible null, the climate change edifice crumbles. The hypothesis you have to address is now, by default of AGW, the climate change hypothesis-of-right. Richard C, you surely must be deranged. Since most of the atmosphere is below 273K I suggest that Leckner’s curves are not applicable, which means Eggert’s analysis is not credible. Also your claimed sunspot/temperature correlation is a misrepresentation as it only deals with daytime highs. This is not the same as global temperature. It is well understood that the increased greenhouse effect predominantly increases temperatures at night. Choosing to only look at day time highs is cherry picking. “Richard C, you surely must be deranged” – Nick doesn’t think so, he’s taking on the challenge you defaulted on Richard Christie. Only he and Simon have done so (poor Ken couldn’t (or wouldn’t) understand the challenge – do you? “I would prefer it if you stuck to peer reviewed literature” – Bzzzt wrong. The point of a hypothesis is that someone posits it (Eggert has) and YOU provide the null (if you can) – that’s the review Nick. Besides, the AGW hypothesis was never peer-reviewed because there never was one. 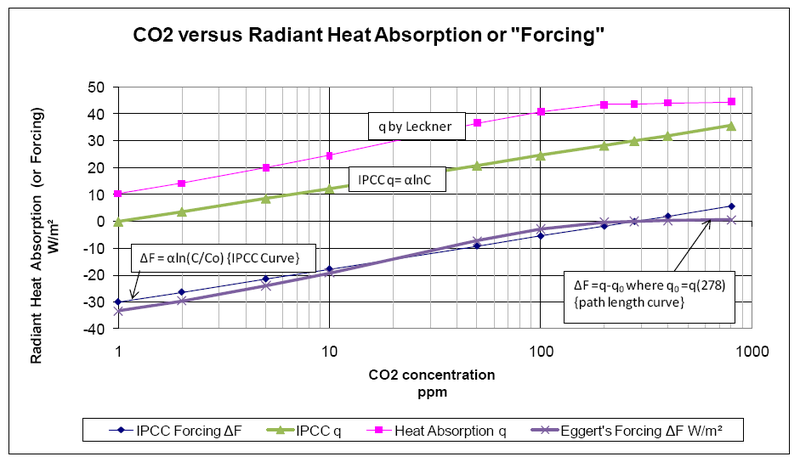 Figure 1 is an illustration of one curve from the family of CO2 emissivity curves. This was obtained by plotting the emissivity at the temperature stated for various path lengths. Other curves in the family can be generated for any particular temperature. A review of Leckner’s curves shows that in the range of temperatures of the atmosphere (293K to 216K) a single temperature will suffice for estimating emissivity. The temperature chosen was 273K. Note that the area below 273K is a projection beyond Leckner’s curves and may be in error. These types of curves are used by engineers in design. The success of the designs is an indication of the validity of the curves. Any alternate explanation for radiant heat loss through the atmosphere must provide results with at least the same degree of success in predicting reality. The question is how to apply them to the atmosphere. So 273 is a proxy for the atmospheric range 293K to 216K that takes account of pressure and suffices. Eggert then goes on to apply the curves to the atmosphere in Atmospheric Path Length. In order to be able to perform calculations for designing many different types of things that must account for radiant heat loss in the atmosphere, H. C. Hottell at MIT performed thousands of measurements of heat as it went through various concentrations of CO2 at various lengths of gas. He then generated a number of graphs that are used by engineers in designing a huge range of applications. In the 1970‟s, B. Leckner further refined these curves. The premise of these papers is that these graphs and methods for determining radiant heat absorption in the atmosphere are applicable to determining radiant heat absorption in the . . . atmosphere. This section looks at engineering rather than pure science because the science of radiant heat transfer has matured to the point where engineering solutions have been developed and widely implemented. The IPCC does not defer to that mature science. Recent work by NCAR senior scientists Drs. Harry van Loon and Gerald Meehl place strong emphasis of this physical point, and argue that the use of daytime high temperatures is the most appropriate test of the hypothesis connecting solar radiation with surface temperature. All previous sun-climate studies have included the complicated nighttime temperature records, while the Sun is on the other hemisphere. “It is well understood that the increased greenhouse effect predominantly increases temperatures at night. Choosing to only look at day time highs is cherry picking” – Not according to the scientists active in this area. I was merely countering Simon’s alarm which I assume from his position he attributes to CO2. If he is only going by apparent correlations, he has to look at the best (Ha!). In my view the court should have been presented with and considered evidence that 25.5% of temperatures in the Seven Station series and 16.2% of temps in the 11 Station series recorded before Celsius metrication in 1971 were logged as whole Fahrenheit degrees (i.e. x.0F). Combined, they averaged 22% of New Zealand Fahrenheit temps recorded as .0, and this compares with 30% in Australia’s ACORN series and 31% in its HQ dataset. Abstract An adequate treatment of thermal radiation heat transfer is essential to a mathematical model of the combustion process or to a design of a combustion system. This paper reviews the fundamentals of radiation heat transfer and some recent progress in its modeling in combustion systems. Topics covered include radiative properties of combustion products and their modeling and methods of solving the radiative transfer equations. Examples of sample combustion systems in which radiation has been accounted for in the analysis are presented. In several technologically important, practical combustion systems coupling of radiation to other modes of heat transfer is discussed. Research needs are identified and potentially promising research topics are also suggested. Amazing to find what the IPCC DOESN’T defer to when you start digging.